Although it sounds surprising to non-actors, anxiety disorders are not uncommon among actors. Our business makes demands on us unlike just about every other career. How many other jobs require one to be utterly open, vulnerable, emotionally available, and tough as nails, all at the same time? And that doesn’t even take into account the whole job security thing. It’s not surprising that many actors suffer with anxiety disorders. What is surprising, is the fact that they get up each day and share the deepest, truest parts of themselves with total strangers, in service of their art. The courage and stamina it takes to do that, in spite of chronic anxiety, is remarkable. Every semester I hear stories from many of my students who struggle with anxiety disorders. It hits home, as I too, have dealt with this condition for many years. That in no way makes me an expert. And I’m not a mental health practitioner. But I have learned a few strategies that I’d like to pass on to others who suffer from anxiety disorders. As always, feel free to use what works and leave what doesn’t. 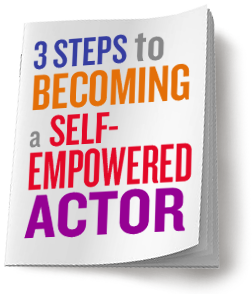 The very qualities that may predispose you to anxiety, also make you an exceptional actor. Things like high sensitivity, empathy, and openness are vitally necessary to your craft. Your task is not to toughen your hide so that anxiety can’t penetrate. Your task is not even to (hang in here with me for a minute) seek to rid yourself of anxiety. Your task is to recognize that you are “gifted” with an exceptional ability to sense many things in your inner and outer environments. These “special powers” make it necessary for you to learn how to respond to the influx of information that sometimes comes unbidden in the form of anxiety or panic. And you can do that. I have found it helpful to remember that our brains are amazing, plastic, adaptable learning machines. The fact that we can choose our thoughts and thereby re-wire our brains is a powerfully liberating piece of information. I cannot speak highly enough about the book The Mindfulness and Acceptance Workbook for Anxiety, by John P. Forsyth and Georg H. Eifert. This book was a game changer for me. It invites the reader to acknowledge anxiety when it strikes, instead of fighting back. Sounds counter-intuitive, no? Yet it is a powerful way to re-gain your equilibrium in the throes of panic. Resistance only feeds anxiety. Self-compassion, love, and acceptance allow the executive function of the brain to re-direct attention and consciously choose more constructive thoughts and perspectives. This practice has helped me tremendously. When I hear my students refer to their condition as “my anxiety,” I encourage them to change their language to gain more of a sense of personal power. “My anxiety” takes ownership of this undesirable state at a fundamental level. It suggests a kind of permanence at the level of one’s identity. Whereas saying that “I have anxiety,” or “I’m experiencing anxiety,” suggests a temporary state of being, something that is passing, not something that belongs to me forever and ever. With practice, I can re-direct my thoughts and get some relief. Try dis-owning anxiety by making this subtle shift in your language and thought. 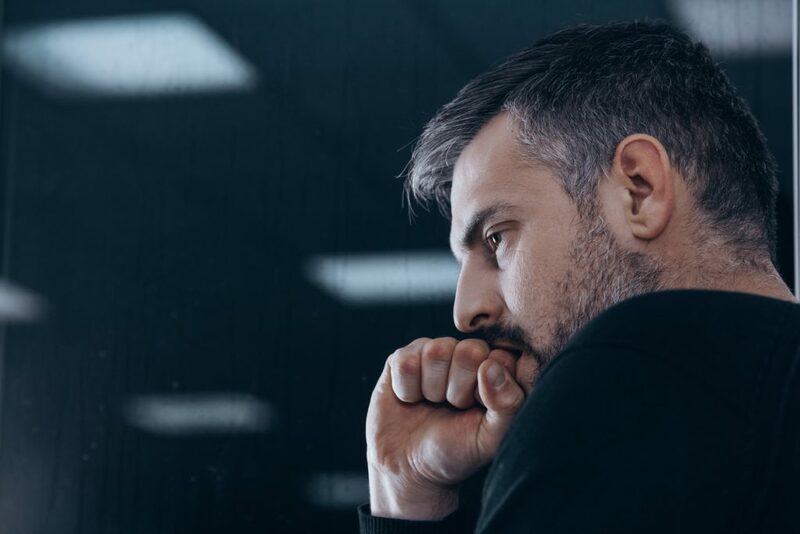 Douglas Eby’s series of sites on topics relevant to creativity and personal development called Talent Development Resources, has a wealth of wonderful articles and resources on cutting edge treatment for anxiety disorders. I suggest you peruse his sites, starting with anxietyreliefsolutions.com, and his article Dealing With Anxiety: Actors and Performers. For inspiration, listen to actor Nathan Stark in this podcast . Scroll down the page to the Audio section. We start talking about the anxiety disorders we both deal with around 16:29. Nathan is brave, honest, and generous with his considerable wisdom. You could also try one of the many apps available for managing anxiety, such as Stop, Breathe & Think; Breethe – Meditation & Music; and The Mindfulness App. There are many out there; these are just a few.